In our modern tech-driven world, the idea of a business card seems kind of … quaint. After all, with LinkedIn and Facebook and Twitter and e-Mail and all the other ways we can easily get in touch with someone, or at least look them up, the idea of carrying around a piece of paper in your pocket to hand to someone seems almost counter-intuitive to technology. It’s not the case though. In fact, I’d say that having a business card on hand now is just as important as it ever was. Even with all the attempts to make sharing contact information (remember when Samsung tried pushing their “bump” technology? And don’t even get me started on QR codes), there still isn’t a standardized solution that works for everyone. That is, unless you count the business card. Even if it’s just a quick meeting with someone, a chance encounter or even just passing by someone in the lobby after a concert, there’s nothing like being able to just hand someone a piece of paper with the important information on how they can get in touch with you. Plus, nothing kills conversation like stopping in the middle to type out each others’ contact info. Don’t include information that doesn’t matter. For example, do you need a physical address on your card? Or is your web site your new address? Include your modern contact info. If you are on Twitter or Facebook, etc. include those usernames or addresses – especially if that’s how you’d prefer people to communicate with you. Don’t include every possible contact method. I’m on Instagram and Skype and Snapchat and a ton of other platforms. But if I added every possible contact method to my card, it would just be a huge jumble of text. Show restraint and only include the methods you put as top ways to contact you. The rest can be found on your website if you need to list them all. 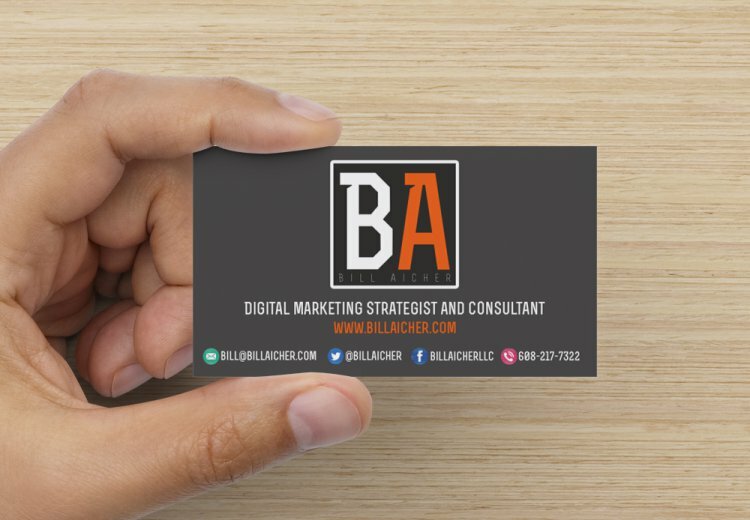 Do you still use a business card? If not, I’d love to hear how that’s been working out. Do you regret not having one? Or are you happy to have one less thing to worry about?